Why isn’t public speaking taken seriously? I recently attended an award evening at the school my children go to and they had a motivational speaker in the middle of the prize giving. He was an Olympic swimmer and he had fifteen minutes in which to tell the hundreds of children and parents how great they can be if they apply themselves. His message (I garnered) is to be the best version of yourself that you can be and work hard to achieve that goal. By working closely with his coach, he told us, he had managed to reach the Olympics. He began his speech by telling us that as he drove to the school, he’d changed his mind about what he was going to talk about and how he was going to approach the subject. He kept repeating bits of his story unnecessarily and had a nervous habit of fiddling with the microphone lead. There were lots of ‘ums’ and ‘ahs’ in his delivery and his fractured story ended in a muddled conclusion. He overran his time by a considerable margin and even commented upon the fact from the stage. He then mentioned (to my dismay) that he would be taking questions after he’d finished! I assume it was an alarmed disapproving look from the head that made him amend that statement to, he would be available for questions after the event if anyone wanted to ask him anything. I sensed some relief from the audience in the hot and stuffy assembly hall when he finished his speech. The thing is this; throughout his speech he kept referring to his coach and how important he was in disciplining him and guiding him through his career. Presumably, he wouldn’t have got to the Olympics without a coach. So why didn’t he have a coach for his speaking career? He said he travelled the country giving speeches so public speaking must be a career of sorts for him (I’m guessing that he doesn’t have a speaking coach because any decent one would have sorted out of his fundamental mistakes immediately). I couldn’t help but compare his approach to speaking with his approach to swimming. He changed his mind about his speaking strategy on the drive to the school - did he do the same before a swimming race? He kept repeating bits of his story - when he was swimming in a race, did he think to throw in some unnecessary strokes or was he going to make every stroke count? He didn’t seem aware of his nervous habits - did he not exhaustively study video footage of his swimming technique to discover where improvements could be made? He didn’t read his brief - if he’s racing in the 100m butterfly, does he turn it into a 10,000m breast stroke just because he feels like it? He was determined to be the best version of himself that he could be - except when he’s speaking, presumably? As a professional speaker myself, these contradictions were glaringly obvious but I sensed that the audience, in the sultry heat, simply weren’t engaged with his narrative. I asked my daughter afterwards if she liked his speech and she shrugged her shoulders and said she wasn’t interested in sports. This told me everything I needed to know: the speaker didn’t realise that his sport story is meant to be an allegory for his much bigger message – be the best version of yourself that you can be. His technique needs to improve if he’s to compete in the race for the hearts and minds of school learners. So why didn’t an Olympian realise that public speaking is a different field of excellence and that its skills can be learned? 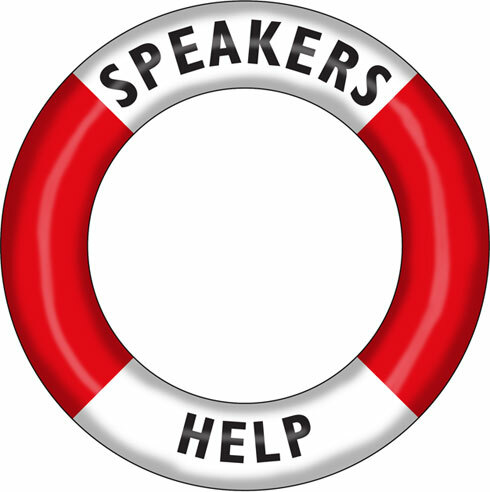 Why didn’t he know that experienced practitioners can help other speakers avoid basic errors? Every top sports-person has a coach, no matter how good they are, why is speaking so poorly regarded by many practitioners? You are currently browsing the SatNav for the Soul® blog archives for July, 2014.